Aside from the massive challenges with the highly diffuse nature of incoming sunlight caused by the second law of thermodynamics (previous page), renewable energy faces a number of additional challenges, any one of which could derail the entire process on its own. This page will provide some more perspective on just how difficult it will actually be to achieve a sustainable energy future. After the second law of thermodynamics, arguably the biggest challenge with renewable energy sources is their intermittent nature. Solar and wind power only generate electricity when the sun is shining or the wind is blowing. Yes, there are ways of storing energy for use on windless nights (such as pumping water up to a reservoir using surplus electricity and letting it run down through a turbine when needed), but these methods greatly compound the lack of economic competitiveness of renewables against the awesomeness that is fossil fuels and are also greatly limited by other factors such as geography. No, the odds are that we will always need to burn some kind of fuel during the times that renewables are not producing any power. And yes, this just brings yet another problem: even more expensive electricity. You see, due to very high capital costs, a standard power plant can only be economical if it continuously generates electricity throughout all the years in its lifetime. If power plants are reduced to backup generators for renewables and operate, say, at only 50% of their current loads, it is safe to say that the electricity they generate will become twice as expensive (probably more due to regular startups, shutdowns and sub-optimal operation). 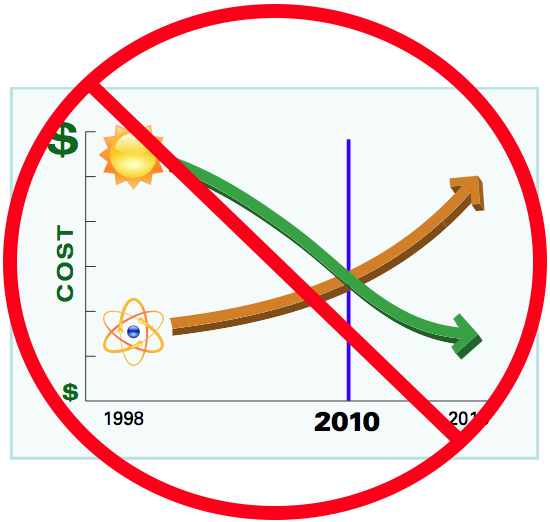 Sure, it can be reasoned that this sharp increase in the cost of fossil fuel electricity (caused exclusively by renewables of course) can actually appear to make renewables cost competitive, but the vicious energy price inflation cycle that will result from this dynamic will crash the global economy long before any meaningful increases in installed renewable energy capacity is achieved. The alternative is to just have a truly massive electricity grid to spread electricity over a very wide area from wherever the sun happens to be shining and the wind happens to be blowing. Unfortunately though, this is perhaps the most unrealistic idea of all. A proposal for a single electricity line to transmit 3000 MW of electricity for a distance of 1600 km (which will require a clear channel 60 m in width for the entire distance) quoted a cost of $3 billion – an amount sufficient to simply build 3000 MW of fossil fuel power plants wherever they might be needed. And yes, we will need thousands of much longer electricity lines if we are to successfully construct such a super-grid. Also just imagine the levels of coordination and international collaboration required to make this happen. The way in which Western politicians are currently handling our self-imposed debt crisis should offer another stern reality check. Finally, super-grid or large scale storage options might be theoretically feasible to smooth out short term intermittancy such as night and day variations, but have no chance of countering for slow seasonal variations. When looking at solar power for example, the electricity that can be produced is linked very directly to the seasonal solar influx. If you are located on the equator, this is not a problem, but the vast majority of global energy is consumed thousands of miles north of the equator. According to these data, the minimum winter solar influx at a latitude of 40 degrees (which is typical for the USA) is 3 times smaller than the maximum summer influx. At 50 degrees north (which is typical for Europe), this ratio increases to 5.7 and then quickly blows up to infinity as we approach the arctic circle. If you then also acknowledge that energy usage normally peaks in the cold winter months, the problem becomes pretty obvious. The next major challenge faced by renewable energy involves the massive upfront capital costs in terms of money, materials and energy. 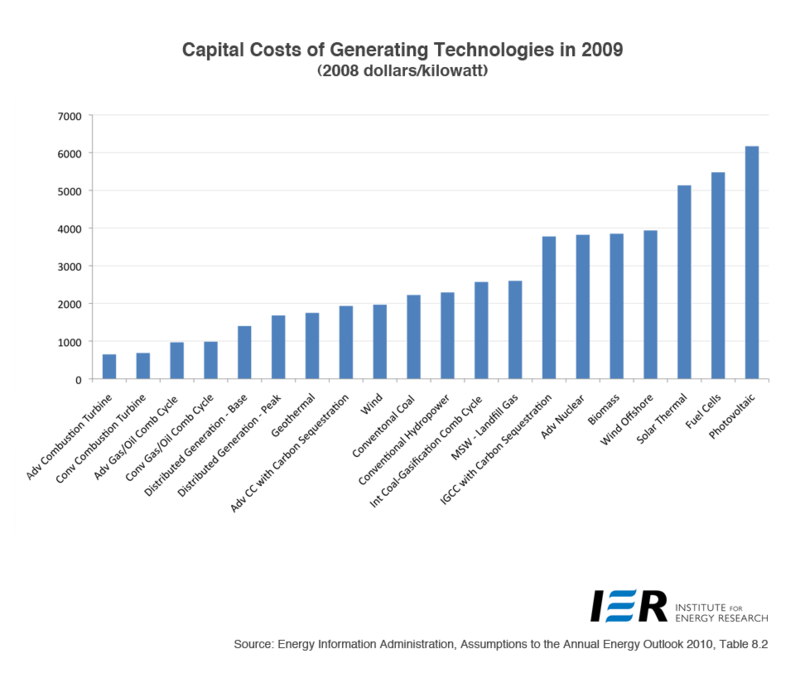 A normal fossil fuel power plant also has substantial capital costs, but a significant amount of the total cost is spread throughout its entire lifetime as fuel, operating and maintenance costs. This is not the case for renewables like solar and wind where virtually the entire cost in terms of money, materials and energy (which, on average, is probably around 5 times more than a fossil fuel plant of similar wattage) must be paid up-front. And yes, this is a major problem. Just looking at the up-front energy costs, it can be roughly estimated that replacing all of our fossil fuel power plants with solar power plants that last for 30 years and deliver three times the energy it took to construct and install them over that period will require the total amount of electricity that we currently generate in an entire decade. So, even if we really tighten our belts and pledge 10% of the electricity we generate towards the construction of renewable energy resources, we will need an entire century to get the job done. 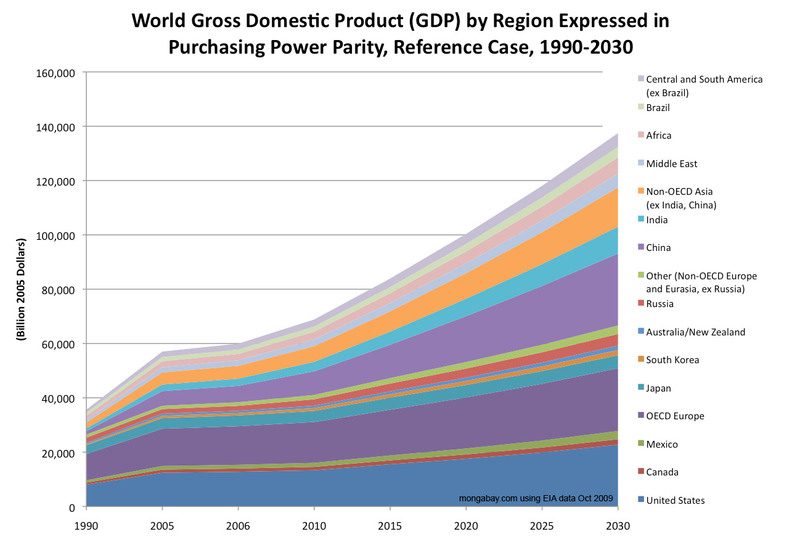 And yes, this is of course based on a very shaky assumption that the world energy consumption will remain constant. Also, this rough estimation has not even taken into account the fact that we will probably need to revamp our entire power distribution system to accommodate the intermittent nature of renewable energy sources. This can easily require capital in the same order as that required to construct all of the renewable energy power plants. If you then also factor in the monetary and resource capital required at this time when budgets are already highly strained and a wide array of vital resources are becoming increasingly scarce, even the relatively modest penetration rate of renewable energy forecast by most leading institutions suddenly begins to look just as overoptimistic as the laughable forecasts of perpetual economic growth routinely churned out by world-leading economists. I don’t want to sound overly pessimistic or anything, but the chance of the world achieving the economic expansion suggested in the graph above is essentially 0%. More on this here. OK, this heading looks pretty weird, but it will all make sense in a moment. Basically, the laws of receding horizons and diminishing returns shines the bright spotlight of reality on all of those pretty graphs where the cost of renewable energy continuously goes down, the cost of fossil fuels continuously goes up and a very happy crossing of the lines happens at some point in the not-too-distant-future. Those graphs might look very promising, but unfortunately they are complete nonsense. Firstly, we have to acknowledge the typical subjective bias with which charts such as the one given above is constructed. After all, we all want solar energy to become cost competitive so that we can keep on consuming at ever increasing rates and, because we are human, this desire will often influence our reasoning. For example, reputable Solarbuzz calculations show that the current 14 cents per kWh cost shown above is a highly optimistic estimate even for full scale industrial solar plants. 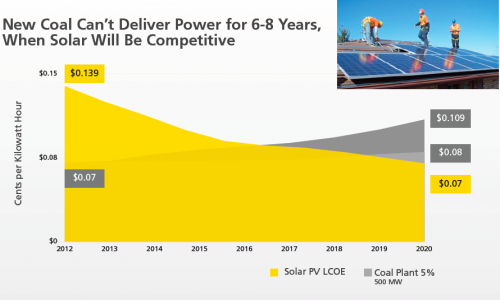 The chart, however, appears to be promoting residential solar power installation which, on average, would result in a levelized cost of electricity (LCOE) about three times higher than the given price. Indeed, if that pretty yellow band were inflated by a factor of 3, it would look distinctly less pretty. 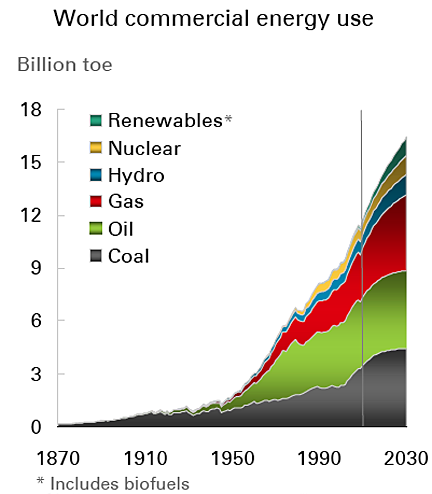 Also, the cost of fossil fuel electricity will not rise much over the coming years. This is because only about a third of the cost of fossil fuel electricity comes from the cost of the fuel itself and, since we still have lots of coal and shale gas, these prices will not rise all that much if left to the free market. Highly efficient and very economical combined cycle gas fired power plants combined with large shale gas finds might even bring down the cost of fossil fuel electricity. Even the very scary prospect of peak oil will not cause sustained fossil fuel price increases simply because economic growth cannot continue without cheap oil. 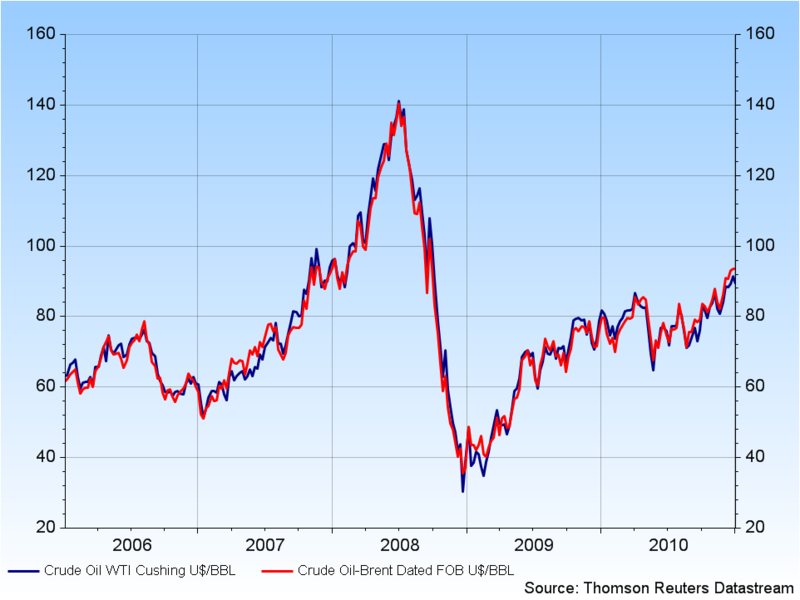 Every time oil becomes too expensive (like in 2008), our economy will enter into a recession and oil prices will go back down due to decreases in demand. On the other hand, if we get our act together and start to really push renewable energy commercialization and climate change mitigation measures such as carbon capture and storage (CCS) through stiff carbon taxation, the price of fossil energy will start rising significantly – firstly just because of the tax, but eventually also because of the part-load operation and grid infrastructure revamps enforced by an increase in solar and wind power. The first and most obvious problem with this is simply that the enforced austerity brought by this artificial increase in the energy price will be met with massive and potentially very costly resistance (see Southern Europe as a good example). In addition, countries who do this first will shoot themselves in the foot by making their own energy more expensive and thereby hurting their own competitiveness. This is one of the major reasons why nothing meaningful is being done about climate change. But the real kicker is the fact that, as the energy price rises, so will the cost of constructing highly energy and resource intensive renewable energy plants and the highly advanced distribution grids they will require. There are also real concerns about medium-term shortages of rare earth metals which are indispensable in many renewable energy technologies. The obvious conclusion is therefore that more installed renewable energy will provide an ever-strengthening headwind to further renewable energy installation. This is the law of receding horizons: the horizon – that magical point where renewables become cheaper than fossil fuels – is continuously pushed further away as we struggle towards it. Indeed, chasing the point where renewable energy honestly becomes cheaper than fossil fuels is much like chasing the pot of gold at the end of the rainbow – it just stays on the horizon, no matter how fast you run towards it. And then we have the law of diminishing returns to further compound this problem. Initially, we will be able to construct renewable energy solutions in the areas where there is the most sun and wind, the most economic muscle and the most political will. In addition, we will be able to incorporate these renewable energy sources into our existing power grids simply because the intermittent power spikes they create will initially be small relative to the total fossil fuel power generation. However, as time goes by, these initial easy gains will fade away as we are forced to start constructing renewable energy plants in much less ideal areas and the intermittent nature of renewable energy starts to enforce very costly and complex changes to our existing power infrastructure. In short; the greater the relative contribution of renewable energy becomes, the greater the magnitude of the challenges facing the installation of further renewable energy infrastructure. This is the law of diminishing returns: initially, we will get relatively large returns on our renewable energy investments, but the aforementioned factors will cause these returns to gradually diminish as time goes by. In summary, I think it is safe to say that the laws of receding horizons and diminishing returns reduce the chances of wild solar expansion like that shown below to virtually 0%. Such an expansion can only happen if more solar power makes the installation of further solar power progressively easier, but, unfortunately, the complete opposite is true. So, there you have it: a nice summary of the challenges facing renewable energy: the second law of thermodynamics dictating that renewable energy will never be able to compete with fossil fuels on a level playing field, the intermittent nature of renewable energy bringing immense practical challenges, the tremendous up-front capital costs that will greatly hinder the rapid widespread deployment of renewable energy technology, and finally the dangerous combination of the laws of receding horizons and diminishing returns which will make our fundamentally enforced energy transition more and more difficult as time goes by. I sincerely hope that you now understand just how difficult the construction of a sustainable energy future will be and just how incredibly amazing the age of practically unlimited fossil fuel energy really was. That being said, however, the aim of these two pages is not to send you into a depression, but rather to provide the dose of objective reality that might just get you to start preparing yourself and your family for the end of the age of energy abundance. The new age of energy realism most certainly does not need to be cataclysmic and, as discussed on the next page, there are many ways in which you can manage this new age while still maintaining a very high standard of living. Let’s take a look. It is simply not true to say that solar power can only be generated when the Sun is shining and – if wind turbines are widely distributed geographically – it is rare for the wind to stop blowing everywhere (since the planet does not stop spinning and the Sun does not stop shining). Here in the UK, solar PV panels have been designed to work best in daylight (as opposed to direct sunlight) and their efficiency actually reduces if they get hot (clearly not appropriate for use at lower latitudes). Also, the total annual down-time for a new wind turbine is probably less than that of an old coal-fired power station. 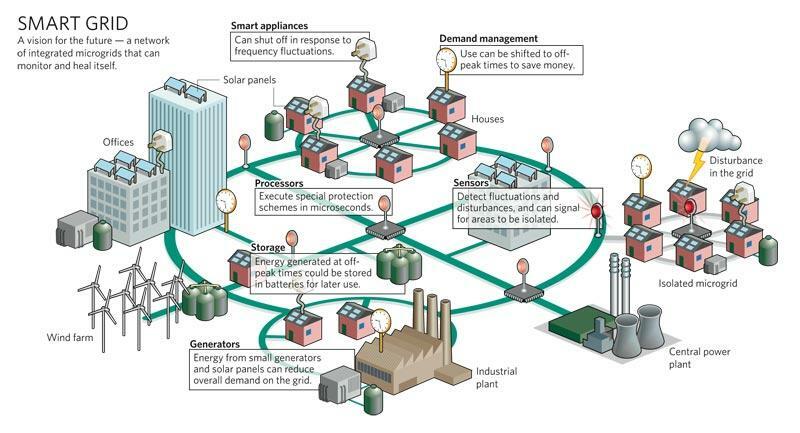 In the end, though, the solution is micro-generated – as opposed to centrally-generated – electricity. Over at Climate Denial Crock of the Week, Peter Sinclair would clearly disagree with your pessimism: Please see the latest of his Renewable Energy Solution of the Month videos. I am definitely not disputing the viability of renewable energy in the long term. All I am saying is that renewable energy penetration will most likely be a lot slower than people think. I am also close to 100% sure that renewables on their own will not protect us from climate change simply because of the short timeframes and the enormous scales we are talking about. At current (still accelerating) CO2 emissions rates, we will reach 450 ppm by the mid 2030s by which time (if things go really well) solar and wind might perhaps account for 5-10% of global energy consumption. The central message of this page series is one that you also regularly spread: that technology cannot sustain exponential economic growth any longer. Energy use and GDP have been directly proportional for a long time and it is simply physically impossible for energy from renewables to sustain GDP growth for the foreseeable future. This page is therefore not against renewable energy technology (I think it is great) it is just against the notion that renewables can grant us continued economic expansion and save us from climate change. In my opinion, both these things are flatly impossible. Schalk, I accept all you say here about the low energy density of available renewable technologies. However, I think you are being unduly defeatist. You are forgetting that technology always improves on early designs of new inventions. Harnessing renewable energy will be no different (we have already invented 24/7 solar thermal power plants). Therefore, if Germany can achieve 30% renewables in 20 years, I see no reason why the World cannot do the same. I just hope we still have time because, if we do not, I suspect we will literally have to declare war on climate change to mobilise sufficient resources to achieve effective mitigation any faster than that. I am definitely not disputing the technical viability of renewables. In fact, I think they are so cool that I am giving my parents some solar panels as a Christmas present for their home in SA. The page following this one also enthusiastically advocates personal energy independence through micro-generation and reductions in consumption to all of us rich folks who can actually afford to do so. The point of these two pages is just that I think that renewables are fundamentally guaranteed to always be a lot more expensive than fossil fuels (at least the cheap fossil fuels our society requires to grow without creating one debt crisis after another). Who knows, perhaps someone invents some revolutionary new renewable technology that solves all of our problems, but fundamentally speaking I just cannot see how diffuse and intermittent solar/wind can ever compete with the cheap fossil fuels that built our civilization. Regarding Germany, I’m afraid that I can think of plenty of reasons why the rest of the world has no chance of meeting Germany’s ambitious “30% renewables by 2030” target. In fact I’m even skeptical of this technological and productive powerhouse’s chances of meeting its own target. Germany is now heading into recession (words I really never thought I’d write) and even Angela Merkel admits that the cause (the European sovereign debt crisis) will last at least another five years. I therefore think it is highly likely that German sentiment towards expensive renewables will change quite substantially as the economy weakens and electricity prices keep rising. Elsewhere in the developed world, the US public debt now tops 105% of GDP and rating agencies are threatening another downgrade depending on the response to the fiscal cliff. This is while US GDP per capita managed to increase by 7% over the past decade while mean wages declined 6% (I’m still trying to figure out how that works). Japan has registered its first current account deficit in 3 decades following Fukushima which has resurrected fears that the country’s rapidly aging population cannot sustain its massive debt load. In the developing world, China is now facing a very awkward middle income trap with its rapidly rising minimum wages, aging population, dangerous collection of credit bubbles, increasing inequality and large dependence on foreign oil. The dwindling demand from broke developed nations is not helping either. India meanwhile is battling massive inflation, a widening current account deficit, rising inequality, unsustainable population densities and their own rapidly increasing foreign oil dependency. My reason for rambling off all of this economic bad news is simply this: As economic conditions worsen, the already shortsighted human race will only become more shortsighted, thinking only of entitlements, stimulus, bailouts and the cheapest form of energy possible. I therefore think that the fundamentally enforced economic slowdown/contraction that lies ahead combined with the huge inequality within our aging societies will make it very difficult to gain public support for using tax money on subsidizing expensive renewables. It is for these macro-economic reasons (definitely not for technical reasons) that I am pessimistic about the medium term role of renewables in repairing our economy and combating climate change. These are also the reasons why I think that environmentalists need to at least take notice of arguments such as those made by Epstein and critically ask themselves whether their massive push for government-sponsored renewable energy really is in the best interests of our civilization at this point in time. What a depressing picture you paint. Even so, I can see no logical or financial reason why governments should not be encouraging as many people as possible to generate their own electricity and/or become as energy-efficient as possible. Furthermore, peddling the myth that energy consumption correlates with well-being, as Epstein does, is absolutely the wrong thing to be doing at this point in time. Now that I agree with 100%. Where Epstein completely misses the point is that increases in wellbeing with increases in per capita energy consumption (correlated directly with per capita income) reaches a zenith pretty early after which it actually starts to decline. This attitude is very typical American and, in my opinion, the resulting unthinking culture of consumerism is what is primarily responsible for the decline of America (they are beset by a terrible degenerative disease burden and have transformed most of their economy into a service sector selling Chinese goods to American consumers buying them with freshly printed dollars). It really is very sad. Over the past few years, I have expended a lot of effort to tailor my life so that I leave a carbon footprint 10 times less than the Average American. And because of that I have not been sick for four years, am in perfect shape and completely financially secure. This is not because there is anything special about me, but simply because I committed to reducing my carbon footprint to 2 tons/year by doing things like becoming an (almost) vegetarian, cycling everywhere I need to go and getting my pleasure from production instead of consumption. If environmentalists unanimously touted this message like I try to do on this blog, they would have my full support, but advocating an economically unviable total makeover of the largest and most important industry on earth at a time when this enormous Ponzi scheme that is the global economy is just starting to unravel just does not make sense to me. When viewed through the pessimistic (“realistic”) lens of human conduct it is difficult to fault this presentation. Not to be intimidated…it is not necessary that we continue to “grow” as a planet, or even as an economic system. We ought to shrink. This is not even difficult. Additionally, if we’d like to be around for a few thousand more years, we’d be wise to horde our oil for special projects. Finally, if we analyze the levelized cost of renewables in 2018, its surprising how cheap they’ve become since this article was written. Let’s take the pedal from the metal and wise up fast. Hi,I read your new stuff named “Additional challenges facing renewable energy | One in a Billion” on a regular basis.Your writing style is witty, keep it up! And you can look our website about free proxy list.